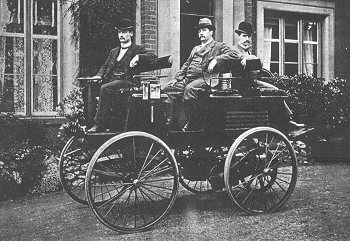 Most people believe the first motorcar to use a liquid fuel internal combustion engine was invented in 1885; the Benz Patent Motorwagen. But it wasn’t the first car. The first ‘modern’ electric car, complete with newly invented lead acid batteries, was put into production, in London, a full year before Benz even showed his first prototype. 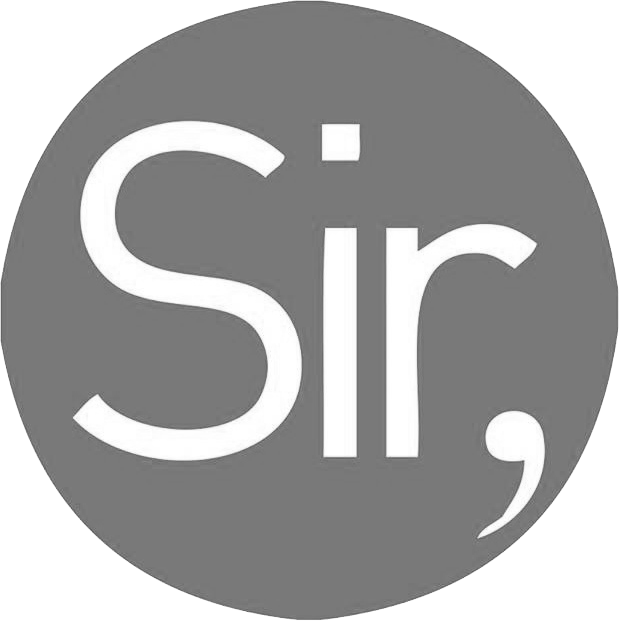 It was invented by Thomas Parker, the ‘Edison of Europe’, who pioneered the manufacture of electric lights, developed the dynamo and invented a smokeless fuel, it is quite possible his innovations bought us an extra decade to tackle climate change. For the first decade of the 20th century electric cars were favoured over petrol or steam. They were clean, quiet and comfortable, as today they were the perfect city car. It was so easy to start ‘even a woman could do it’. And therein lay the start of the electric cars’ undoing; not only did they have a limited range and difficulties with charging from power grids that varied wildly depending on location, but they were viewed as unmanly, a label they have struggled to shake for nearly a century. Over the next decade the invention of the starter motor and improvements to the internal combustion engine eroded the advantages of the electric car, but the decisive act in the war for automotive supremacy was Henry Ford’s decision to use an internal combustion in his paradigm shifting Model T.
Just as the great bicycle pioneers of Coventry had fifty years before, and the advent of commercial air travel did fifty years later, the Model T democratised personal transport. It was affordable to the common man. It shortened distances, revolutionised manufacture and allowed people to grow their horizons. By the time production of the Model T ended 14,689,525 had been produced, accounting for over half the cars in the world, it remains to this day the second best-selling car in history. The discovery of vast quantities of oil followed, petrol prices plummeted (in many cities petrol was cheaper than water) and, off the back of the Model T’s exploding popularity, filling stations became common. By 1930 electric cars accounted for less than 1% of the global total. It seemed the electric dream was over. Whilst interest was briefly roused during the energy crises of the 70s and 80s, for the next 60 years electric cars were almost irrelevant. There were microcars and municipal vehicle; milk floats and post vans, but never anything more than a prototype from a major manufacturer. It wasn’t until the 1990s that concerns about the fluctuating price of oil and state’s falling air quality led the California Air Resource Board (CARB) to legislate for a move towards zero emission vehicles. In response a number of companies started to produce limited numbers of cars modified to fit electric powertrains. Many saw this as tokenism, with the manufacturers just paying lip service to the regulations whilst they worked behind the scenes to discredit CARB’s mandate and tried to demonstrate a lack of demand for electric cars through shoddy deals and inadequate marketing. Traditional dealers were (and often still are) unwilling to sell the few that were produced. They believed they couldn’t sell them, through lack of demand or lack of knowledge, and were concerned they wouldn’t be able to make as much money on servicing simpler electric vehicles. 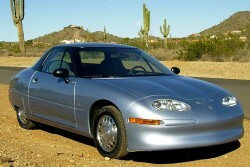 Only General Motors produced a purpose built electric car; the now infamous GM EV1. Technically this car was impressive in its day; it had an 85 mile range (the 2nd generation had 140), it was great to drive and it remains one of the lowest drag cars in history. But GM’s business practices (as well as those of some of their competitors) were a little more than suspect. Consumers were not allowed to purchase EV1s, but were instead had to sign unusual lease agreements, stipulating the cars had to be returned to GM at the end of the lease period, with no option to purchase, whether they wanted to or not. Officially lessees were participating in “real-world engineering evaluation” into the feasibility of an electric car, but many believe the decision to terminate the program was based on other factors; the car was beautifully engineered. After ten years Chrysler, Toyota and some local GM dealers successfully sued the Californian government. This, combined with oil companies’ lobbying, meant the regulations were all but dropped. Companies instead, particularly in America, focused on gas guzzling SUVs, where there were bigger profit margins. By 2002 almost all electric cars had been withdrawn, with most of the existing vehicles being destroyed. Once again it seemed the electric dream was dead. For many years hydrogen cars were touted as the future, with batteries just bridging the gap after the end of oil. People were drawn in by the incredible energy density per kilogram of fuel, three times that of petrol. It is the energy per litre, however, that is actually important, and in this hydrogen is distinctly poor. The gas’ low density means it has to be compressed to incredible pressure, 300 times atmospheric pressure, or store it in toxic compounds to give a reasonable range, this requires a very heavy, bulbous storage container that fills the boot. 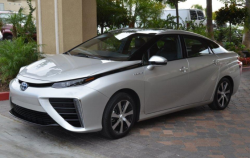 The intrinsic physics of the hydrogen molecule means around 50% of the hydrogen would be wasted transporting it to the filling station, compared to less than 1% in typical electrical transmission, the hydrogen literally leaks through the metal pipes. 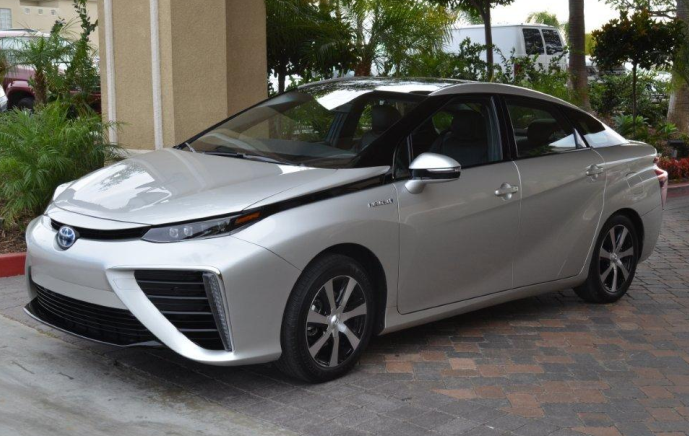 The same process happens in the vehicle’s tank, a typical hydrogen car loses 6% of its fuel each week it’s in the tank. A battery, by contrast, loses almost none of its charge over time. This combines with sheer number of processes required to convert AC electricity from the grid to hydrogen (by the incredibly energy intensive electrolysis of water) then to DC electricity and then back to AC electricity to give a modern hydrogen fuel cell car efficiency around 4%, this compares to as high as 95% for a battery electric car and 30% with a petrol car. This is before you consider the fact hydrogen is mostly not produced from renewable sources (through electrolysis) but from crude oil, through steam reforming. This is perhaps why it is preferred by many fossil fuel companies and the politicians that they fund (particularly in the USA); not only is the technology 10-15 years away, during which time people will still be guzzling fossil fuels, but once hydrogen is on stream it is still likely they will still, at least partially, use hydrogen from fossil fuels. It would be years until enough hydrogen could be produced from renewable sources, and that would be too late for our planet. But the hammer blow for hydrogen vehicles is the infrastructure they would need. For an electric car the infrastructure is already in place, at least in the developed world, we can simply plug a car into the mains. Even installing a fast charger is no more complex than installing a washing machine. And in the developing world (which tends to be near the equator) solar panels can be used to give reliable off grid power at an increasingly reasonable price. By comparison, a hydrogen car would require a whole new network of hydrogen pipelines, filling stations and electrolysis plants to make the hydrogen. Whilst it took just 10 years for diesel to become ubiquitous, it was able to piggyback the current infrastructure, it used the same refineries, distribution networks and retail outlets as existing petrol cars. In our major cities, already tightly packed with infrastructure, the addition of hydrogen would be an almost impossible task, there simply isn’t the space. Many companies are now abandoning their hydrogen programs; even at ideal efficiency it would only match a 2025 (Euro8) petrol engine’s emissions and never approach either petroleum or electric for price. The possible disruptor to the electric future could be 3rd generation biofuels, made from algae. This would allow for the extension of the current fleet and would be particularly interesting for use in heavy commercial vehicles. Whilst the research is promising it would be at least 20 years to mature the technology, establish millions of hectares of aquatic farms and build the hundreds of factories that would be required to convert enough of it to fuel. 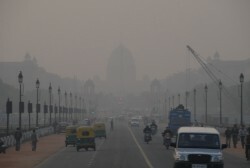 Decarbonisation of transport is imperative to reduce greenhouse gas emissions. Domestic passenger transport accounts for around 14% of global emissions, transition to electric cars could cut this to less than 1.5%. This is particularly important as sources like cement and steel production, which together contribute a similar proportion of emissions as cars, are almost impossible to decarbonise; the chemical reactions required to produce them must produce carbon dioxide. People are often concerned that the electric car just displaces the emissions, moving it from the exhaust pipe to the chimney. But unless the power stations almost all burn coal (which they rarely do), a power grid uses cleaner fuel in a more efficient way than an internal combustion engine. At current UK energy mix a modern electric car leads to nearly half the greenhouse gas emissions of a comparable petrol car. If we could change our energy to a decarbonised supply, using only renewables and nuclear power, this could be reduced to just 10%. But displacement of emissions is important, a power station is very rarely in an urban area, so an electric car results in a significant improvement in air quality in built up areas. Many areas of London have NOx levels that are 10 times what the EU considers safe, caused almost entirely by emissions from cars and buses. NOx emissions alone kill around 90,000 Britons every year. In addition, a power station can scrub the exhaust gases of secondary pollutants, caused by impurities in the fuel and incomplete combustion. These cause acid rain, which damages buildings, kills plants and causes acidification of oceans; dissolving coral reefs and denaturing fish eggs, obliterating aquatic ecosystems. 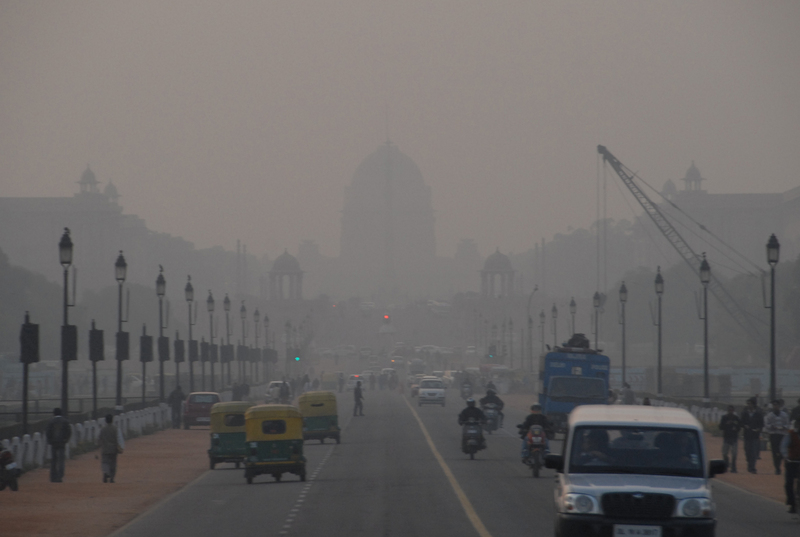 Secondary pollutants also cause smog, which blights our cities and cause respiratory disease cancer and even birth defects; they change the cell chemistry in both humans and animals. More dangerous than any radiation, they are an inescapable poison, slowly acting on the billions that breathe it in. All this is in addition to the effect these pollutants have on global warming; oxides of nitrogen are 300 times worse than CO2 and the soot significantly increases the amount of sunlight the earth absorbs. The march of the mobile phone and the growing market for consumer electronics saw the development of nickel metal hydride and then lithium-ion batteries. These were much lighter, safer and more energy dense than the lead acid batteries that had been used for the last 100 years. It was the final piece of the jigsaw; for the first time all the technology existed for an electric car that could compete with its internal combustion engine counterpart, albeit at a cost of around £10,000. Sadly, and perhaps rather insidiously, the patent for automotive nickel metal hydride batteries, which are cheaper than the current lithium-ion batteries, was bought in 2001 by the oil company Texaco (now Chevron), after GM disposed of their electric car division. Despite numerous requests they have shown no willing to licence it, and their patent won’t expire until 2020. Whilst broadly speaking Lithium ion batteries are superior, today nickel metal hydride batteries offer the only viable alternative for an electric car. As car companies (often literally) crushed their electric car programme there were signs of a new beginning; companies released hybrids. 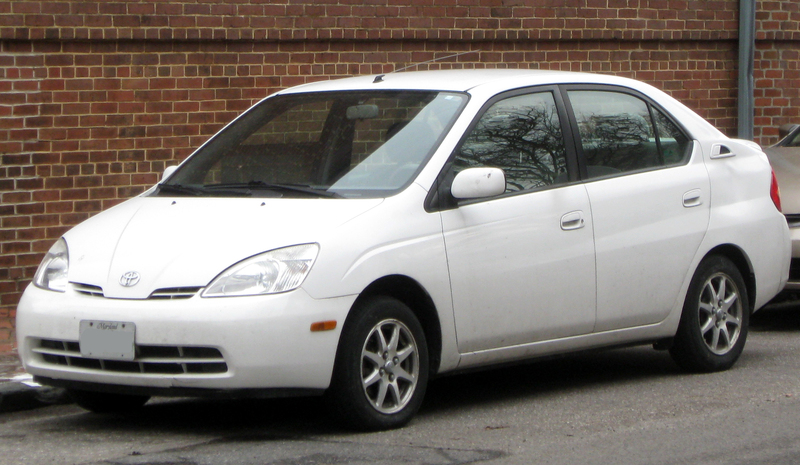 The Honda Insight and the Toyota Prius combine an electric motor with an internal combustion engine. They offer a crucial step towards pure electric cars; it serves as a test bed for the drive train technology, giving a good range with improved environmental performance, albeit at an increased cost. Whilst sales were initially low, the rising oil price saw a healthy growth in sales through the 2000s. But even with the benefits of electric cars becoming clearer, and the major technical hurdles overcome, most major manufacturers were still unwilling to commit to full electric vehicles, believing their higher initial cost would make them unsalable, even in spite of huge government incentives. It seemed everyone agreed we needed alternative powertrains, but no one was willing to build one, they thought the technological mountain was insurmountable and that, even if they did build them, they’d never be able to sell them, let alone at a profit. 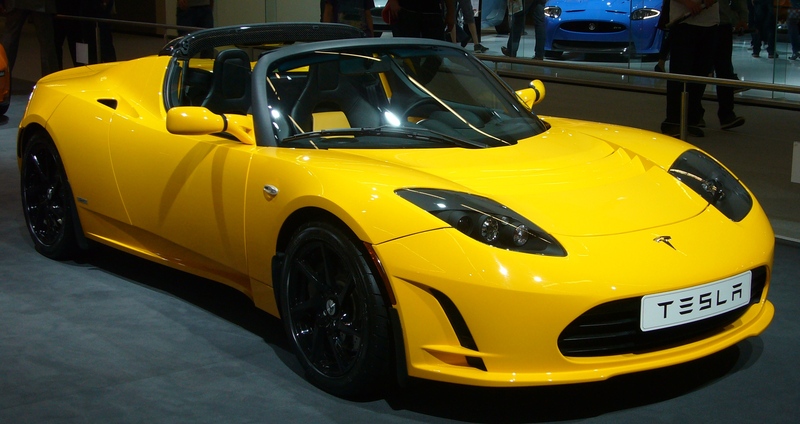 The disruptor that broke the industry was Elon Musk’s Tesla Roadster. It was the first to show an electric car could just be a car, with the electric element something you only consider when you plug it in. It could go over 200 miles on a single charge, making it capable of over 99% of journeys, it was exciting, fast and fun. This company, with no experience of car making, had shown the world the electric dream could become a reality. It lit a flame in the industry; leaders of GM and Nissan have both specifically cited the Roadster as the catalyst of them restarting their electric car programmes. Tesla’s major innovation was their Supercharger; this could charge the battery to 80% in 40 minutes, and to 50% in 20 minutes, a vast improvement on the hours it takes with a domestic charge point. Whilst not quite comparable with a fuel station it showed range anxiety could be all but erased. In the last year the number of these superchargers in the UK has increased from one to 68. Decades ago years ago it took just nine years for the number of diesel filling stations in the UK to increase from 10 to 10,000. In this electric cars have a major advantage over petrol, diesel or even hydrogen cars; every home and business already has access to electricity; the infrastructure is in place. Just as people plug their phone in to charge when they get home they can do the same with their car, and because cars will be plugged in overnight it is plausible that almost no additional generating capacity is required to charge them, they can just use the spare overnight capacity in the grid. 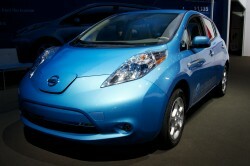 It took just two years for Nissan to release their first electric car, the LEAF. It was the first electric car that offered a genuine alternative to the mass-market hatchback. It wasn’t exciting, and that was kind of the point; it competes with the likes of the Ford Focus and the Vauxhall Astra. Bland cars that sell in huge numbers. Where the Tesla Roadster showed an electric car was the equal of its petrol competitors, and the LEAF showed it was scalable, Tesla’s next vehicle, the Model S, showed it was better; faster, quieter and more comfortable. It wasn’t just a great electric car, it was a great car. 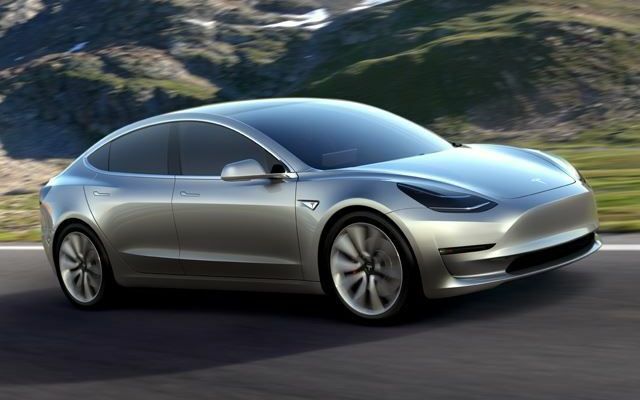 But maybe the most impressive thing Tesla did was make electric cars cool; they created a 4 door saloon car with acceleration on a par with an F1 car. I will never forget the first time I sat in a Model S. At Goodwood; other companies had supercars and race cars, but for me, it stole the show. Its svelte body, its giant touchscreen display, even standing still it was exciting, but its savage speed sealed the deal, it pinned me to the seat like a roller coaster. It just felt like the future. In 1899 it was an electric car that was the first to exceed 100 km/h, at a time of horses and steam trains this was a truly terrific speed, but since the turn of the century the electric motor has been conspicuously absent from motor racing. Whist there were a few intercollegiate competitions, it wasn’t until 2009 that Formula 1 introduced electric assistance on their engines that the rebirth began. This was followed a few years later when the World Endurance Championship (WEC) introduced hybrids to their cars. The racers had found electric was faster. 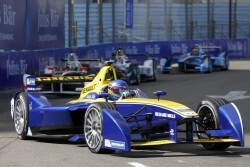 This was crystallised three years ago when the FIA, motorsport’s world governing body, announced the formation of the Formula E championship, an all-electric open-wheeled racing series to serve as a testbed and showcase to accelerate the design and adoption of electric powertrains. Initially many fans (including me) were sceptical, but a grid of world class drivers and the involvement of now nine car makers, including Renault, Jaguar and Audi, has seen the championship flourish, with some even touting it to overcome F1 as the pinnacle of motorsport. 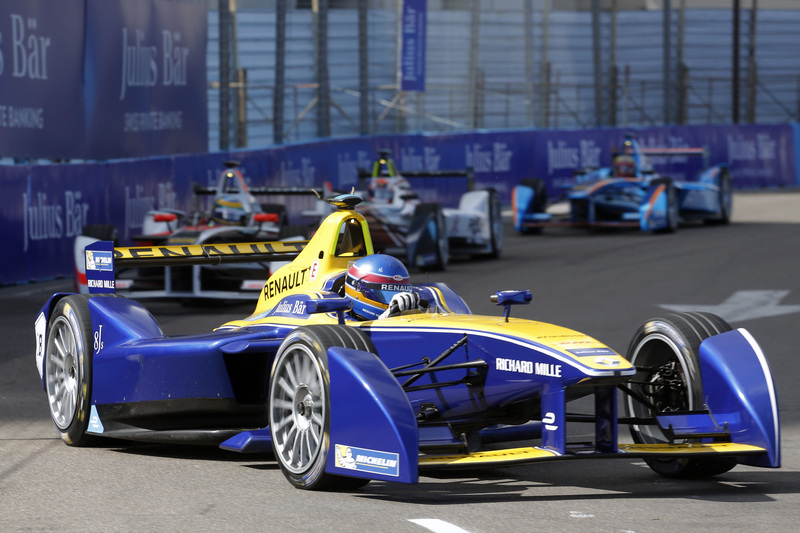 Formula E does, however, lay bare the problem of electric cars, the range of the batteries and the speed of rapid recharging, mean the drives have to swap cars mid race. Although they are aiming to end that by season five, for a series meant to showcase the potential of electric cars, a runtime of 30 minutes for each car isn’t great, allowing detractors to decry “Electric Cars – One is Never Enough”. But in the real world this isn’t a problem, today’s electric cars have a range between 100 and 250 miles, even at motorway speeds that’s 2-3 hours driving, making them easily capable of almost all journeys. With vehicle batteries expected to double in capacity over the next five years, range anxiety will just melt away. VW has even stated that at 180 miles a battery car becomes favourable to a petrol car, something my data suggests will be the norm by 2021. Today the main technological hurdle to overcome is the fast charging network. Home chargers are almost standardised, and cheap enough not to cause concern, but fast chargers differ enormously, often they aren’t even standardised within the same company (Renault-Nissan). Like phone chargers every manufacturer has different requirements for different models in different markets. Whilst this is important during development; it allows different manufacturers to examine their options and decide priority’s, it makes it much harder for the building of infrastructure. Like phones it would not be impossible to reconcile these requirements into a few compromise solutions. That would then allow for the swift and easy implementation of thousands of charging stations across the world that are all mutually compatible. But the reason that will truly sway the public is cost. Today an electric propulsion system adds approximately £10,000 to the upfront cost of the car, and, whilst that is reducing, it is unlikely they will be able to match an internal combustion engine. 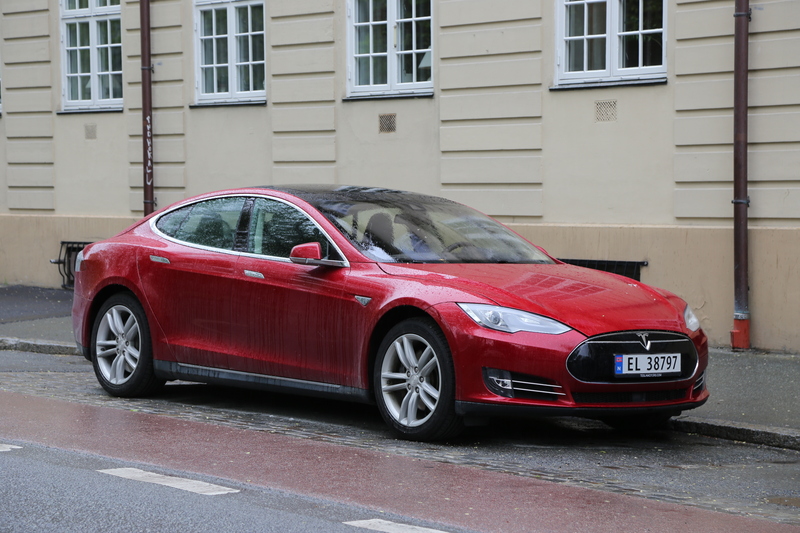 Over the vehicle’s lifetime, however, the cost of owning an electric car is broadly similar to a modern petrol car, the ‘fuel’ is a fraction of a petrol car. In the next decade the increasing scarcity of oil (I predict around 25 years’ worth can be reasonably extracted) is likely to force increased prices at the pump, whilst the plummeting price of solar panels it is likely to make electricity even cheaper, driving the equation in the electric car’s favour. Earlier this year Tesla unveiled only their fourth car, the Model III. 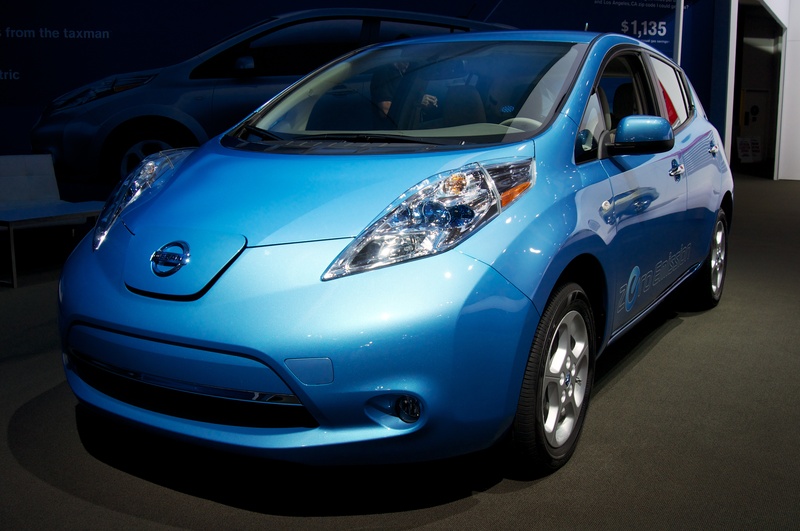 It was designed as an electric car for the masses, a Model T for the 21st century. Whilst it is unlikely to ever reach the Model T’s ubiquity, its list price of $35,000 will make it a real alternative to petrol. The Mode III will use batteries built at Tesla’s new Gigafactory, the 2nd largest building in the world, which will be capable of producing 500,000 battery packs a year, more than there are electric cars currently on the roads, but most importantly the batteries should be 30% (£3000) cheaper than they are today. When the Roadster and the Model S came out they were unique, pioneering vehicles, but the Model III won’t be the first to market. 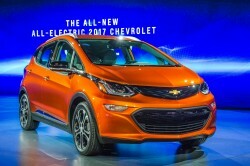 Chevrolet has announced the Bolt, VW will launch an all-electric Golf and Nissan have plans to release an updated version of the LEAF, all before the first Model III is delivered. Almost everyone in the industry now has a major electric car program, from almost nowhere eight years ago. My cursory glance over the motoring press counts at least 25 electric cars expected to launch in the next two years. Tesla may have started the fire, but it has now taken hold and is spreading rapidly. VW announced they will launch 30 new electric models to account for over a third of their production by 2025, with most of their other cars being hybrids. Ford has announced it will launch 13 electric vehicles by 2020. Where 10 years ago we would have discussed which companies had hybrid or electric powertrain programmes, in another 10 years we could be talking about which companies are still developing petrol engines. Beijing has recently announced plans to build 400,000 charging points, by 2018 it will be illegal for a company to sell cars in the USA unless they offer an electric vehicle in their range and Norway, where even today a quarter of vehicles are electric, are going to phase out petroleum cars in the next 10 to 15 years. Even in the UK 1.6% of new cars are electric, a 226% increase on last year. The electric dream is now a reality. Even ten years ago the electric car was nowhere, the idea they could replace petroleum would get you laughed out of court. Today electric isn’t just a pipe dream, its entering the mainstream, and it may be our only chance to maintain a liveable planet. 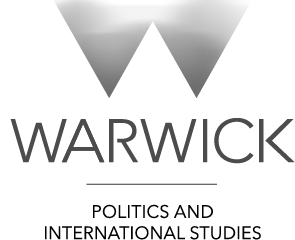 Our Managing Editor, Tom Harrison, is a third year studying Automotive Engineering at Warwick, with a particular specialism in alternative methods of vehicle propulsion. Over summer he is working on designing the next generation of electric cars.